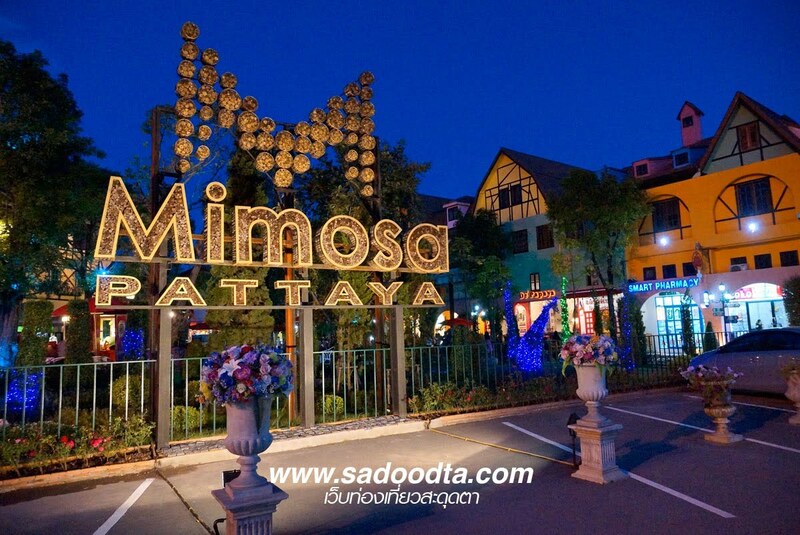 Mimosa Pattaya, the City of Love, is actually located in Ban Amphur, Sattahip, around 10 kilometers outside Pattaya itself. If you go to Sukhumvit Road and head towards Sattahip, go past Jomtien and the Floating Market it will be on your left after around another four or five km. There is an accurate map on their website, see link below. The video here is actually around four years old (published October 2013) but it does give a very good indication of why Mimosa is one of the most popular tourist attractions in the area. Unfortunately it only covers the lavish “shows”, the main attraction, towards the end of the video. The shows are as good as anything you will see elsewhere, especially the fountain and light-show that accompany them. Their Facebook Page is kept very up to-date with pictures although it is in Thai language. Address – 28/19-20 Sukhumvit Road, Ban Amphur, Amphoe Sattahip, Thailand.